We are pleased to offer beautiful CEREC same-day, metal-free dental crowns to address your restorative needs with more speed, efficiency and comfort than ever before. Ask about our one-appointment crowns by CEREC. "Professional and caring service from the moment you enter the office. Thanks for taking such good care of my teeth and gums!" "The best service, nicest staff and dentist... New and clean place... Love it there... Thanks for taking such good care of my teeth :)"
"I was very satisfied with the care and procedure which I received this afternoon. It was done painlessly and timely manner." "Everyone is friendly and efficient. Plus, it was really cool to watch my crown being made!" "I am always happy to have a dental visit over no matter the reason! I was early today and so were you. Thanks." Are you looking for a full-service dentist in Henderson to address your entire family’s dentistry needs? A specialist with a gentle touch to care for your child’s smile as well as the skill to beautify adult smiles with all manner of imperfections? If your answer is yes, you have come to the right place: Led by top-rated Henderson dentist Dr. Heeyup Ghim, the office of Black Mountain Dental offers unmatched care, comfort, and convenience when it comes to the dental health of every member of your family. Whether it be a routine evaluation or an extensive restoration, our team is dedicated to helping patients achieve lifelong smiles that feel healthy and look great! In addition, we understand that tooth loss sufferers are likely to experience frustration when dealing with uncomfortable, old-fashioned dentures. That is why we are please to offer All-on-4 dental implant restorations, the innovative solution to regaining a complete smile that looks and feels 100% natural. Our highly proficient and experienced team is equipped with advanced knowledge, superior skill and ongoing education to provide the optimal level of care to patients of all ages. When you come in for your initial appointment, your dentist will conduct a thorough evaluation of your dental needs and create a customized treatment plan to deliver lasting oral health and a smile that inspires confidence. Our comprehensive checkups have been proven to successfully prevent potential problems or resolve existing problems in their early stages. Our state-of-the-art restorations perfectly mimic natural teeth for an authentic appearance and outstanding longevity. Furthermore, our dental surgeries are performed entirely in-house by our own Dr. Ghim, eliminating the need for patients to visit a specialist. There is a reason why we are the top choice dentist among Henderson-area families, and we look forward to demonstrating it to you: We welcome you to call Black Mountain Dental at (702) 564-4498 or request an appointment online today, and our team will gladly help you get started on achieving the smile of your life. Get ready for the smile of your life! Call Black Mountain Dental today to schedule an appointment with Henderson dentist Dr. Ghim. 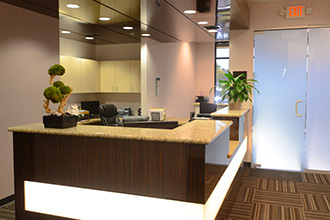 Our full-service dental office serves Henderson and surrounding areas with complete care for incomparable smiles. 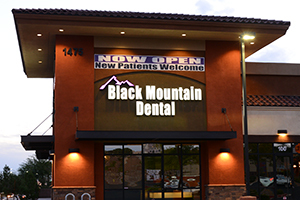 Henderson NV dentist Dr. Ghim, and his team at Black Mountain Dental offer convenience, comfort, and a caring environment to handle the dental health needs of you and your entire family.